You are used to assessing your students’ learning but how often do you pause to reflect on, and assess your own learning needs as a teacher (which is different from subject matter expert)? Do your goals align with quality teaching standards and how will you know when you have reached your goal? In this workshop, you will reflect on your own learning, explore several principles of good instruction, set and align your individual learning goals, identify what supports you might need and create a list of indictors of success. Sandra started her career as a hairstylist in Winnipeg, becoming vocational teacher, and later a teacher/educator with a doctoral degree in Environmental Studies. Her research focused on advocating for a pedagogy specific to technical and vocational teacher training. Her journey allowed her to have an insider perspective of the world of a tradesperson and the world of academia, which are not polar opposites, as they are habitually framed. 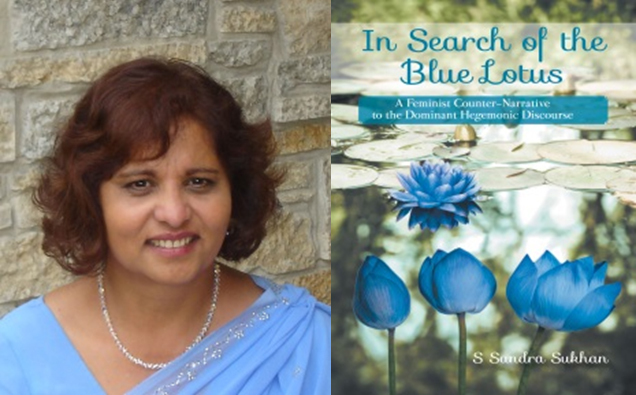 In her recently released book titled: In Search of the Blue Lotus: A Feminist Counter-Narrative to the Dominant Hegemonic Discourse, Sandra addresses issues of class, race, gender, power and privilege from the perspective of a tradesperson and academic. With a keen sense of social justice, Sandra challenges technical and vocational teachers and their respective administrators to think of these provocative questions: Are we perceived as educators or subject matter experts masquerading as teachers? If so, is it about changing the perception of others or changing the way we see ourselves? What can we, as vocational educators, teach other teachers about inspiring excellence in our students? Have we sufficiently politicized ourselves and our students to challenge the dominant discourse, or are we simply willing to accept that we cannot change the systems that advantage some and disenfranchise others? Sandra explores these questions through post-colonial lenses in her book titled: In Search of the Blue Lotus: A Feminist Counter-Narrative to the Dominant Hegemonic Discourse.She shares her experiences of growing up in a British colony, moving to Canada to complete her secondary and post-secondary education, her growing awareness of the inequities of an education system that privileges certain kinds of education, and her experiences of navigating a system that seemingly place lesser social value in being a tradesperson and more on being an academic.